Recently, a trend has been circulating twitter called the #20MovieChallenge. The idea is for users to post an image or gif, once a day for twenty days, of a film that has impacted them in some way. For me, this process was a distillation of film as a cultural institution in 2018: it made the user confront exactly how they engaged with film, and how they represent those engagements in the digital age. It leads me to assess the distinction between traditional methods of praising films, and the more personal, less critical, engagements that make films impact us to the same degree as those that are critically acclaimed. The process, before it inspired any academic thinking, was a lot of fun; it was a chance to look back over my film viewing, think about what films had impacted and stayed with me, why they had done so, and to share them with my followers. #20MovieChallenge interested me because I’d never had to confront a list of films that had resonated with me before; at least not in the format of images/gifs, and certainly not on a public platform. I was able to think about what exactly it was that made me remember a film or the viewing of that film; I was able to choose from a range of themes: messages that resonated with the way I live my own life (Whiplash), stunning artwork or cinematography (Princess Mononoke), entertainment value (Burn after Reading) and the association of watching of the film with a pleasant personal memory. These engagements left me wondering where I stood in relation to wider engagement with film in Britain. Opening Ours Eyes, a 2011 report published by the British Film Institute, states that when asked why they consider a film as having an impact, 41 percent of people point to emotional resonance, and nearly half of the respondents, 49 percent, describe significant films as being educational or thought-provoking in some way. This is unsurprising: as an art form, the expectation of some degree of emotional resonance in cinema is implicit – two relatively recent films in my list, Moonlight and Manchester by the Sea, were powerful depictions of, respectively, the black, homosexual experience in modern America, and what is left of a man’s life after the worst form of tragedy. Both films told their story skilfully enough for me to briefly feel the experience depicted, an emotional response which was strong enough for me to remember the films and include them in my list. When watching Moonlight, the viewer feels the quiet desperation for intimacy of Chiron when he is embraced by his friend Kevin, and, in Manchester by the Sea, whatever judgements the viewer has made of Lee, we feel the desolate emotional state Casey Affleck’s character has descended into as we see, in his face, a failure to connect with his ex-wife or potential new partner. This emotional response to film can traverse seamlessly into the educational properties of film – the BFI report states that those who valued the thought-provoking nature of films identified the power of cinema to give them ‘new insights into particular situations of life’. There are few more resonating insights than an effective artistic depiction that allows the viewer to feel the emotion of the experience depicted, rather than an objective response like sympathy; Jo Bell, in How to be a Poet, states that the power of poetry is to make whatever happened to inspire the poem, happen again when it is read. 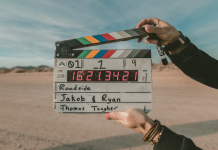 The same can be said of film – if a film can show a viewer an experience skilfully enough for the viewer to feel the emotion of that situation, this makes for a powerful form of education that is likely to stay with them. Regarding my own selection of emotionally educating films, whilst I would never suggest I can understand the emotional extent of the dangers of the black homosexual experience, I appreciate the power of cinema as an art form powerful enough to educate me on its realities by artistically depicting the trials and sufferings of those who live it. This, then, would likely be a factor in the selection of any Twitter user in their #20MovieChallenge. But the format of the twitter thread moves the process beyond traditional methods of film criticism; along with it being shared on a platform geared towards brief, easily consumable personal opinions, the pictures and gifs of your selected films were to be posted with no words accompanying the tweet. So, whilst the personal nature of a twitter feed would reduce the temptation to select a range of ‘critically acclaimed’ pieces as might be implicitly expected in a published journal or high-traffic website, with the introduction of anonymity, the user has the freedom to select his films for any reason at all. This was my own reason for selecting the film The Day After Tomorrow. Despite its strong visuals, environmental message and that scene with the wolves, the film stayed with me because I remember watching it with my Dad when I was young; it is this experience of watching the film that impacted me, that leads me to place it next to films that helped me understand other cultures through their artistic skills on a list of resonating films. This engagement with cinema is one of the ‘many more personal ways of valuing film, which the BFI suggests could be considered alongside ‘critically-approved’ lists, and is offered representation in the #20MovieChallenge. After the user has gone through the selection process, the second part of the challenge comes into play; how the choice of films are represented. Beyond the enjoyment of sharing images from your resonating films, the display forces you to confront the realities of your film viewing. For example – many female or BAME actors appear in your pictures, compared with white males? The images displayed on their own, with no text, represent your film viewing in a way that a list of titles would not – I’ll admit that by the time I got to day seven, the pictures looked nowhere near as diverse as I would have liked. Given my earlier discussion on the merits of cinema as an educational means by which to learn about other cultures and situations in life through emotive means, this exposed not only the shortcomings of my viewing but the amount of learning through cinema I was missing out on. Whilst the lack of diversity in my viewing is my own fault, the format of the #20MovieChallenge forced me to confront it on a public platform. These are some of the ways, then, that the #20MovieChallenge allows for an exploration of a person’s film viewing; the ways we value films, how we remember them, how these interactions relate to the more standard ways of valuing film, and how the whole process operates when represented on a modern digital platform. It’s a great opportunity for anyone to assess their film viewing, share it with their followers and learn about their practice in the process.